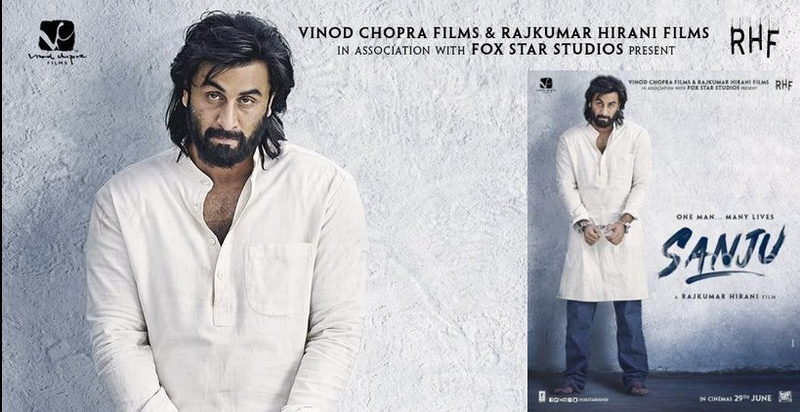 Filmmaker Rajkumar Hirani, who is teaming up with Ranbir Kapoor for Sanju, a film based on the life of controversial star Sanjay Dutt, released a fresh poster of the film on Saturday. The fresh poster features Ranbir as Sanjay Dutt at the time of his arrest in 1992. Ranbir is seen with shoulder-length hair, beard and in a white kurta and jeans. Sharing the poster on Twitter, Hirani wrote, “Sanju was first arrested in 1993. In prison for 18 months. Could not get bail. A recreation of that time.” Apart from Ranbir, ‘Sanju’ also stars Sonam Kapoor, Dia Mirza, Paresh Rawal, Manisha Koirala, Anushka Sharma, Karishma Tanna and Jim Sarbh, to name a few.